Combining the lyrical observation of F. Scott Fitzgerald with the laser-bright social satire of Evelyn Waugh, Jay McInerney gives us a novel that is stunningly accomplished and profoundly affecting. As he maps the fault lines spreading through the once-impenetrable marriage of Russell and Corrine Calloway and chronicles Russell's wildly ambitious scheme to seize control of the publishing house at which he works, Jay McInerney creates an elegy for New York in the 1980s. 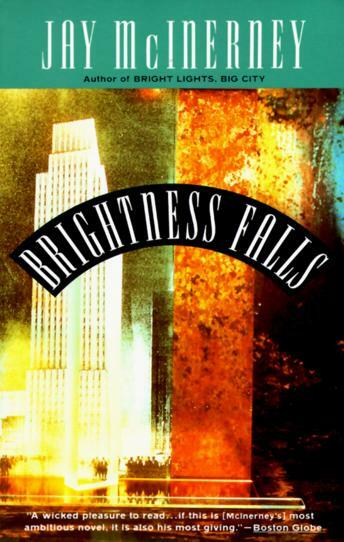 From the literary chimeras and corporate raiders to those dispossessed by the pandemonium of money and power, Brightness Falls captures a rash era at its moment of reckoning and gives reality back to a time that now seems decidedly unreal.